Plagido’s Winery, located in Hammonton, NJ will be celebrating its 10th anniversary on August 1, 2017. 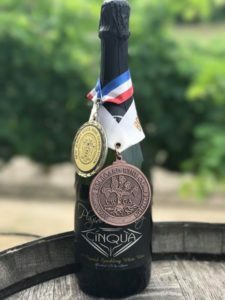 Plagido’s Winery earned Winery of the Year honors for the second consecutive year in the annual New Jersey Wine Competition, which is organized for the Garden State Wine Growers Association by Dr. Gary Pavlis of the Rutgers Cooperative Extension. 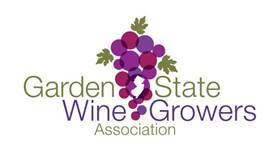 The competition, which was held in May, featured wines from 21 New Jersey wineries. In winning Winery of the Year, Plagido’s Winery scored eight overall medals including a gold medal for the non-vintage Blackberry Vigoroso; four silver medals their 2015 Cab Franc, 2015 Cabernet Sauvignon, non-vintage Concetta’s Casalinga and 2015 Cour d’Est and three bronze medals for their non-vintage Chambourcin, 2015 Cab Franc/Merlot and non-vintage Niagara. and are fermented on the premise. Visit Plagido’s Winery in Hammonton. The winery is open seven days a week for tastings.